Just Cause and Mad Max developer, Avalanche Studios, is set to lose its co-founder after 16 years of service. News comes straight from the horse’s mouth, Christofer Sundberg, whose tweet from Thursday got buried beneath the news of Reggie Fils-Aime’s high profile departure from Nintendo of America. Sundberg didn’t provide any additional information so at the moment, we don’t know what his plans are post Avalanche. Many have questioned the timing of his departure considering the poor reception of Just Cause 4, which was also highlighted in a recent Square Enix earnings report. With reference to Just Cause 4 and Shadow of the Tomb Raider, the publisher told its stakeholders that it had failed to provide players with an experience that was “novel enough” to encourage them to choose the titles over other games that released around the same time. Square Enix also blamed a lack of appropriate marketing. However, those who did buy Just Cause 4 were exasperated by technical and performance issues that were found in the game’s predecessor as well. As for what’s next for Avalanche, the team is already making an effort to improve Just Cause 4. 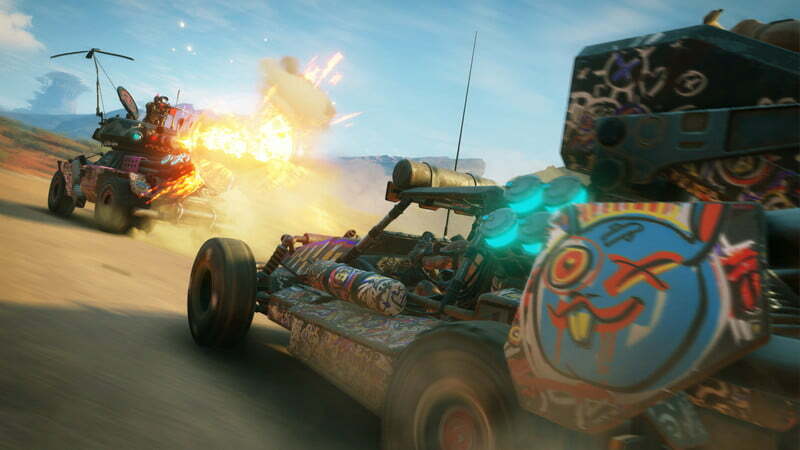 A portion of the studio is also working on RAGE 2, which will release on May 14, 2019 for the PlayStation 4, Xbox One, and PC.